The Basset Hound is a Medium/Large dog that typically weighs between 45-75 pounds. Their height averages between 11" to 15". It is long and low and their height/weight ratio makes their already short legs look even shorter. In fact, their name comes from the French word "bas" which means low. Their gentle, loving, patient nature makes them an excellent companion dog for the home while their keen sense of smell and hunting instincts continue to make them excellent hunting companions. Recognized by the AKC in 1885, the acceptable colors for the Basset Hound are a variety of hound colors, but they are typically white with chestnut or sand colored markings. The fairly dense coat is short, straight, hard and smooth. 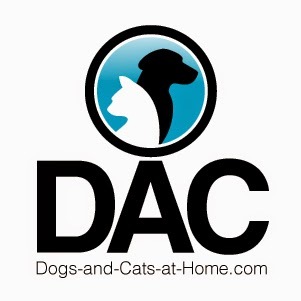 Their coat is easy to groom and only requires an occasional brushing and shampooing. This loving, gentle dog is perfect for family life. They are excellent and patient with small children, even when they are not socialized with them. They are affectionate with their family and love to be around their family. They are great with other dogs and pets as well, although early socialization is good for non-canine pets because they might chase them due to their hunting instincts. They are easy going and fairly inactive when they are inside, making them great for apartment life as they enjoy relaxing and laying around inside. They are more active outdoors and require regular play, exercise and time to run. If you don't have a yard, you should plan to at least take them on a daily walk. They are fairly easy to train, but if they are on the trail of a scent, they will not pay any attention to you. For this reason, a fenced in yard is best. They have a tendency to gain weight, so monitoring their food intake and giving them ample exercise is important. The Basset Hound originated in France and dates back hundreds of years. Their ancestry can be traced back to the Bloodhound. Originally used as hunting dogs, the Basset Hound uses its excellent sense of smell to track animals. Even though they can still be used for hunting, they are seen more as companion dogs today. Few breeds equal the Basset Hound's gentle, forgiving, laid-back nature. They are perfect for active families and for those that just enjoy an occasional walk provided their Basset Hound can have daily outside time. Whether you have small children or other pets or dogs, the Basset Hound can fit into just about any type of family dynamic with little to no adjustment problems. 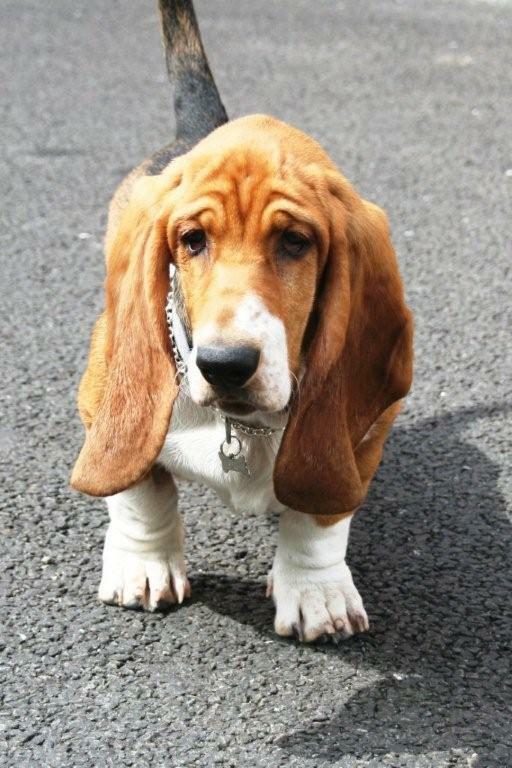 My love for Bassets wins out every time! The AKC officially deemed Bassets 'worthy' in 1885 by recognizing them. I guess they didn't realize that Basset Hounds are all BORN perfect and, thus, are beyond such trifles as being "recognized" by the almighty AKC (oooh!). But I've learned to forgive such human errors. 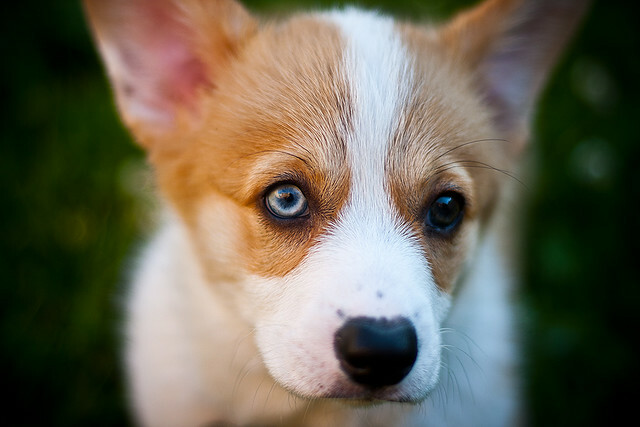 You may be wondering why French folks would concoct such a funny-looking dog breed. The answer is pretty boring, actually (as are most things French...ok, enough!). Nobles of that time liked to hunt. A lot. But the French countryside featured a lot of dense brush and thickets. The hunters' prey (deer, rabbits, etc.) routinely escaped into nearby cover. Hunters didn't like being stymied by mere animals. Enter Monsieur Basset Hound (say it like this: Misssssssure Bass-ay Ound). Developing a dog breed that could smell and hear just about anything from one side of the nation to the other, and who would fearlessly bound into the thickest of brush, became essential. Being low to the ground made them more efficient hunting machines. So, now you know why Bassets are funny looking. But isn't the way they look the very reason why you find them adorable and huggable? *NOTE: If you do NOT find them both adorable and huggable, stop reading now. I mean it. Go away. 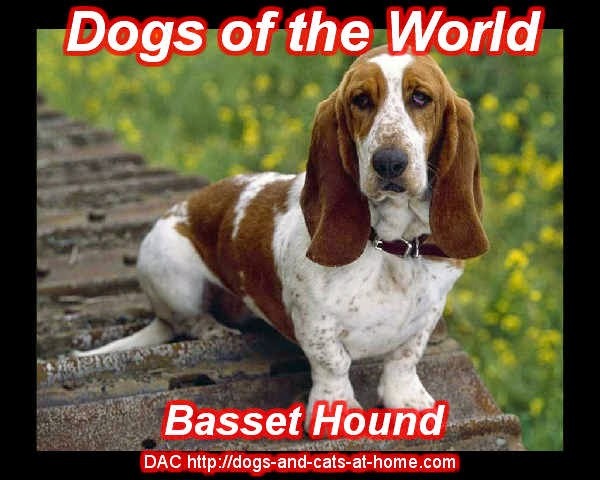 The name "Basset" is a play on the French word for 'low' - bas. The English, clever devils that they are, combined that word with the English word for how something is positioned - 'set.' Bas-set. Low set Hounds. Cool, huh? Basset Hounds typically come in combinations of the following colors: brown, black, white, and red. So-called 'tri-colors' are the most common nowadays (brown, black, and white). Quick! What's the first thing that comes to mind when you visualize a Basset Hound ? The long ears, of course! Do you know why they were bred to possess such ridiculously long ears? I do. OK, I'll let you in on it. It was NOT primarily to improve their hearing (the common myth). It was all about picking up the prey's scent. Imagine if you walked with your head a foot or so off the ground all the time. Now imagine having ears that dang near dragged the ground. Ears flopping back and forth with every step. Besides never getting any dates, you'd also catch a whole lot more of every scent in the vicinity with those tremendous lobes. For a hunting dog, a finely tuned ability to pick up faint scents equals success for the master. And now you know why Bassets have those trademark ears. You must promise to use this information only for good...never for evil. When you picture a Basset Hound's daily activities, what do you see? Most people imagine a lazy, sprawling, sleeping and eating machine. And that's pretty much right on target for most Bassets. Every now and then, some mutant Basset will spring forth who actually becomes delusional and thinks he's a Jack Russell Terrier, all wired up and full of pep. But those types are few and very far between, thankfully. In terms of getting along and playing well with others, Basset Hounds are among the best. It goes back to their breeding, again. They are pack animals by nature, so docility among the pack was an especially advantageous and much sought after characteristic. Yes, individuals will vary, but you have a much better than 50-50 chance at raising a low-key, unassuming pet with this breed. And this includes how he gets along with other pet dogs. Males and females share this trait. There is a vicious rumor floating around about Bassets being hard to train because they're stubborn and strong-willed. Slanderous! OK, actually, that's true. But nobody's perfect, and I bet you weren't exactly the model child! So stop being so critical, miss or mister high-and-mighty. Among Basset trainers, you hear this sentence a whole lot: "Bassets are easy to train, as long as you're trying to get them to do what they wanted to do in the first place." That's as close to a truism as you'll find in the dog universe. If you adopt a Basset with the intention of making an obedient little trooper out of him, prepare yourself for years of frustration. Be happy that he's loyal and allows you to feed him and give him lots of toys. Enough said. First, you have to keep Basset Hounds on a diet pretty much from the time they're grown until they pass away. This is much easier said than done, as any Basset owner will attest. They have faces that just beg to be given treats for any action, including waking up, looking around, yawning, and the other major accomplishments of a typical Basset's day. Resist that urge! Basset Hounds are naturally heavy, and it's very easy to make it worse if you don't stick to a pretty strict dietary regimen. Obesity in dogs leads to canine diabetes at an alarming rate (just like humans). This breed is particularly susceptible, so be careful. A daily walk is a terrific idea as well. Staying with the health rant for another minute - clean your Basset's ears often! Their huge size makes them ideal breeding grounds for all kinds of nasty little critters on the insides; and the outsides tend to collect dirt, food from bowls, and water (which turns the dirt and food remnants to a mushy mess). Not exactly hygienic. Finally, never ever, under any circumstances, let a Basset Hound run around loose outside without a fence that is well maintained. They're specialized hunters - bred to find their way into (and out of) tiny openings. And they're intelligent. That's a potentially lethal combination for your pet, especially if you live near roadways. A Basset believes he has the right to be in the middle of the road if the scent led him there. Vehicles be damned! No need to endure that kind of tragedy. Keep your Basset INSIDE (or at least behind a fence with no possibility of escape). The Basset Hound, a sad-eyed, slow-moving dog, has maintained through the years a popular high level, due to its keenness to the hunt and its docility in the home. Whether the Basset Hound you buy is intended for a household pet or a trailer, this is a breed not to be ignored. Indeed, it is not ignored as the Basset Hound's popularity is ever growing. Serious huntsmen have long been aware of the merits of this most deliberate scent hound, who tracks his quarry with sureness, in his own way and in his own time. Whether he is tracking rabbits, foxes, or pheasants, the Basset Hound can be depended upon to make his way easily through heavy ground cover and give plenty of alerts to the hunter. If one member of the household is to hunt or train with the Basset, spending a lot of time with him, an unstoppable bond will develop between the two, only the master will receive the same enthusiastic response from the dog. The Basset Hound is an exceptionally loyal dog, and while some may view his ways as being sluggish and stubborn, it may well be that he only reacts with a special intensity for his beloved master. They always bark with that rich vocal tone and sling themselves around when the master returns after being away. As the excitement mounts higher, the Basset will grab a toy and sling it around wanting to get all of the attention. The Basset Hound has a European origin. The St. Hubert hound was the forerunner of our Basset Hound and many other kinds of scent hounds which appear all over the world. The St. Hubert hound is reported to have been developed bearing that name and located in the French forest region of Ardennes. St. Hubert founded his order during the early years of the sixth century. Legend has it that before he became an abbot, St. Hubert was a happy go lucky, carefree young nobleman, who loved to hunt, and who was miraculously converted one Sunday by seeing a vision of a deer with a cross between its horns. With a deep love of the hunt, he set out to develop a new strain of hound dog in his kennel at the France-Belgium border and indeed the hounds of St. Hubert was of a very distinct type. All early accounts describe them as being tan and black with long ears, long bodies, heavy heads, and comparatively heavy and short legs. There was also a longer legged, a white variety developed. Both types had wonderfully keen noses and deep voices. The long ears of the breed assisted them, then as now, in their hunting, capturing the scent and forcing it up from the ground toward the dogs' noses. Of course, the original purpose of these hounds was somewhat different than it is today- the superior of a monastery for men who worked to create this breed used the longer-legged strains to hunt wolves and boars, and required a dog of incredible stamina and fearlessness. While these traits are still retained in the conscientiously bred Basset Hounds, the game that is now pursued by the breed is of a less ferocious type-small woods animals such as raccoons. When St. Hubert bred small-legged one's of the breed, to each other, it was because when they hunted small game, the thick ground cover of the Ardennes required a hunting dog to keep his nose steadily to the ground. In longer-legged dogs, this was a physical impossibility; as the dog's back and neck would no doubt begin to ache if he were stopped for long periods. Thus, as the legs of the Bassets got shorter, so too did they get more crooked until they arrived at the seemingly gnarled, stumpy type we see today. The temperament of the hounds was described as being gentle, obedient, and mild and that they were not useful for killing the game but only for trailing it. It is now believed that the Basset Hound as we know it today was developed over the years by careful selection and breeding of the short-legged variety, and by the inclusion in the breeding program of "sports" or dogs with very short legs. Many early accounts refer to the Bloodhound and give rise to the idea that somewhere there was a cross between it and the Basset Hound. The St. Hubert hounds became scattered over various parts of France and were crossed with local types until all the different colors were developed. The name "Basset," was derived from the French and bas, means low set. The American Kennel Club registered its first Basset Hound in 1885. In 1935, a group of Michigan breeders met at the Detroit dog show and formed the Basset Hound Club of America. In addition to those present, 12 breeders from throughout the country were invited to become charter members. By 1950, a Basset Hound had become a world-famous television star, and "Mr. Morgan," is what he was called, caused the breed to become very popular. Since this time, the adoration of Basset Hounds has grown and the registrations listings put out by the American Kennel Club is proof of this. Will this breed continue its upward surge and move into say, the top ten? If the past is any indication, we can be assured that our beloved Basset Hound will become ever more prominent on the show circuit, tracking fields, and a spot he readily and lovingly occupies in the family home. I can attest to this because I have two Basset Hounds in my home, a female, black, brown and white named Sally Mae and a male, black, brown and white named Cletus. If I can tell you anything from experience about these dogs, they are the sweetest natured and very loyal dogs! When they get excited or when lazily stretching, they become very vocal, I think sometimes our female can say "Mama". They know how to get their way and they have kept us laughing as they do the craziest things. Our male, Cletus drinks water from the water bowl with his nose propped up on the side. Sally Mae is our professional rester, she loves to eat and sleep, but when awake she demands your attention. 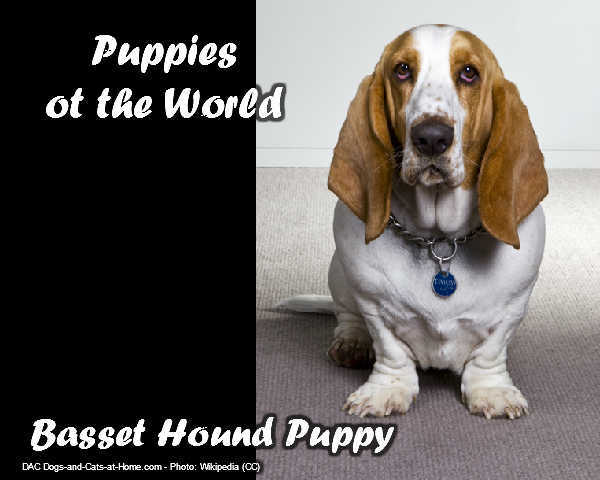 We love our Basset Hounds, that is why I have my website and want to learn all about them.